Keen photographers will find themselves taking picture after picture. Visit Dunollie Castle, the seat and ancestral home of Clan MacDougall. The museum, castle and grounds is home to the renowned Hope MacDougall Collection. Here you can explore the Castle and historic grounds with woodland walks, gardens and stunning views over Kerrera and the islands. The Scottish Slate Islands – Seil, Easdale and Luing are distinctive becasue they are approached by one road, through the Island of Seil over the magnificent ‘Bridge over the Atlantic’. Almost entirely unspoilt you can take a short boat trip from Ellenabeich and walk round Easdale Island round the old slate quarries admiring the stunning views. Ardfern Yacht Centre is located at the head of Loch Craignish, one of Scotland’s most beautiful and sheltered sea lochs. Here you will find a marina, boatyard and chandlery. Craobh Haven Watersports offers boat hire, sailing, dinghies, instruction, kayaks, fishing trips. 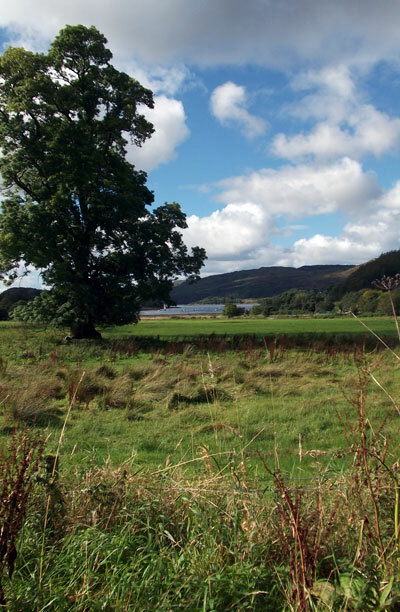 Get out on the water from the sheltered bay which leads to the scenic waters of Loch Shuna, Loch Melfort and beyond. If you have your own boat, nearby Kilmelford Yacht Haven may be a very useful base. This is a family run business offering a wide range of facilities, including summer moorings, winter storage, repairs and servicing. Mull, Iona and Staffa – visit the historic Abbey on Iona which St Columba founded. 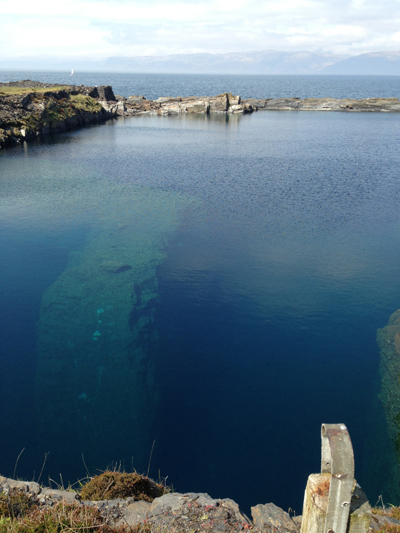 Take a boat trip to see Fingal’s Cave on Staffa, the puffins and amazing rock formations. 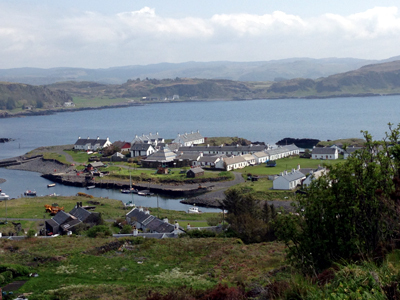 Take a walk round Kerrera and view the recently restored ruins of Gylen Castle. The National Trust for Scotland’s Arduaine Gardens are well worth a visit. Enjoy the spectacular colour of the azeleas and rhododendrons and amazing view to the islands. At the Sealife Centre on the shores of Loch Creran, the sanctuary is home to some of the UK’s most enchanting creatures, from octupus and sea horses to sharks. 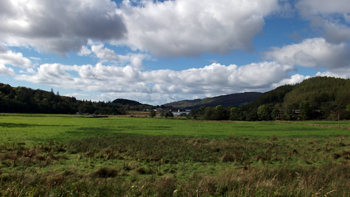 Enjoy the idyllic scenery of Crinan. Go cockle picking on Crinan beach or walk along the canal from the harbour at Crinan. Discover the spectacular mountains at Glencoe and all its history or take a trip to the Glenfinnan Monument at the head of Loch Shiel, where Bonnie Prince Charlie began his campaign and onwards to the Battle of Culloden – a great day out here in Western Scotland.